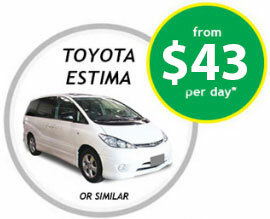 Are you looking for a Cheap Car Rental in Auckland? 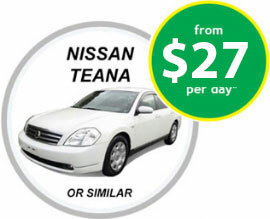 Bargain Rental Cars has 6 branches throughout Auckland. Whether you are North, South, West or East of town you will find a branch near you. Our friendly staff will be available to you from 8:00 to 18:00 from Monday to Saturday and 8:30 to 18:00 on Sundays. 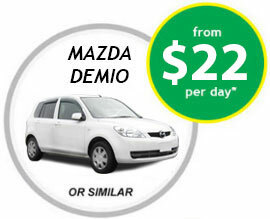 We have 7 branches in Auckland to better assist you with easy collection and return of your rental car or minivan. You can check our addresses on this page. Our city branch is conveniently located at 99 Beach Road, just a few minutes walk from Queen Street, Britomart train station and popular hotels in Auckland CBD. We provide 24/7 services to the airport when bookings are made in advance. 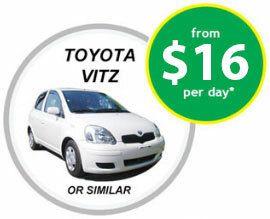 We operate off airport and a free shuttle service is provided to and from the Auckland Domestic and International Airport Terminals when collecting or returning your rental car or minivan. 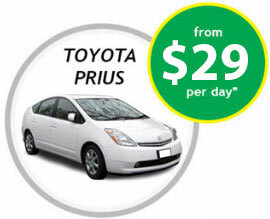 Why should you hire a car from us? We seek in every interaction with our customers, the obligation to provide friendly and personal customer service and we understand people from around the world have different requirements when renting a vehicle. 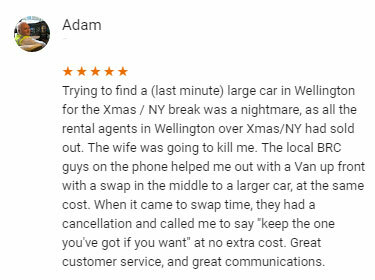 Our staff will go the extra mile to provide our customers with an excellent experience from the time of booking to the return of the vehicle. 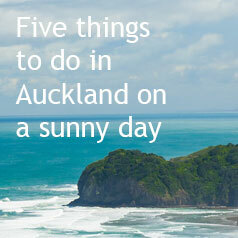 The sun shines in Auckland for over 2000 hours every year and each of those hours invites outdoor activities to make the most of the warmth. Auckland is a city obsessed with the sea, sited as it is on an isthmus between two harbours, boats and beaches provide many of the activities for recreation that the locals and visitors love. The East Coast beaches are ideal for swimming, with popular beaches like Orewa, and Brown's Bay to the north of the city; Takapuna, Milford and Cheltenham Beaches close to Devonport, and St Heliers and Mission Bay to the east of the city on the harbour. The west coast beaches are wilder, offering surfing opportunities. Piha, Karekare and further south, Karioitahi all have dramatic black sand, but watch out for the rocky outcrops and potential rips. Swimming in all its forms, from paddling your feet in the shallows to surfing in the wild waves, to diving in the deeper waters of the Hauraki Gulf are all options for a sunny day. Take to kayaking, sailing, windsurfing or rafting. Or throw in a line and catch a fish. Take a cruise or look for shellfish. It's all part of the sun, sea and surf culture. 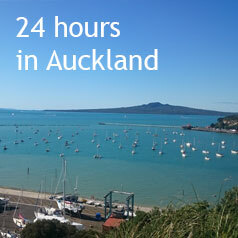 If you only have 24 hours to spend in Auckland, you had better get your running shoes on as we have a great deal to see. Get an early start, just before sunrise and be waiting to see the dawn from One tree Hill or Mt Eden. Both of these viewpoints will give you fantastic views over the city as well as a glorious panorama from the early rays of the sun as it greets the world. Enjoy the formations of the extinct volcanic cones as the scenery lightens and your views become clearer.